Creating interactive whiteboard experiences in the classroom is a surefire way to increase engagement. One “experience” in particular came to mind today as I sat down to compose a piece on writing. What is this idea you ask? Classroom graffiti boards. These simple boards continue to blow my mind. This one little teaching strategy can be used to motivate, inspire, and extend lessons across the curriculum. Maybe you use them. Maybe you don’t yet. Whatever the case may be, classroom graffiti boards are worth another gander. Just in case you are not familiar with the concept of these boards, let me paint a quick picture for you. A classroom graffiti board is a section of your large classroom whiteboard that you dedicate to student writing. 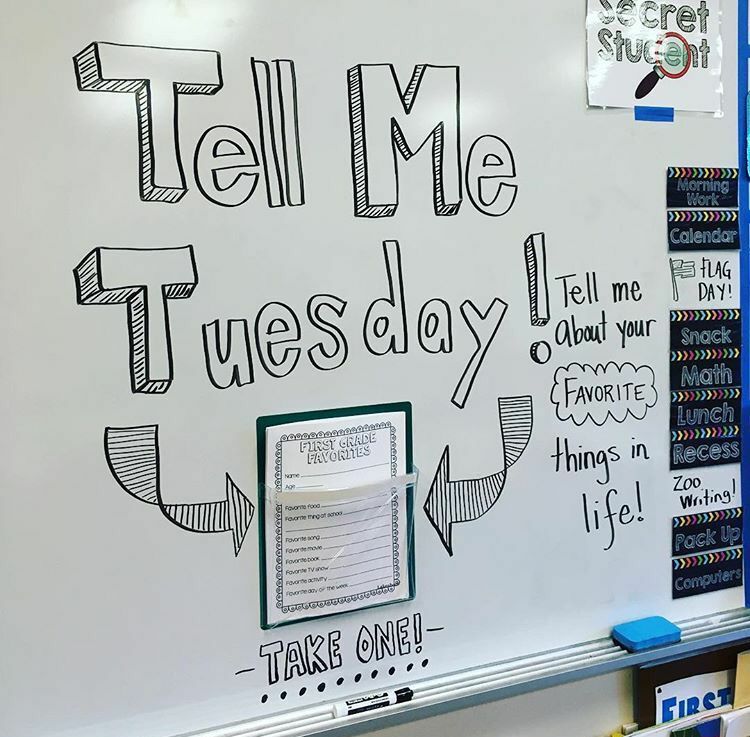 Teachers put a question, statement, or task in the center of the board and students fill in the surrounding whiteboard with thoughts. 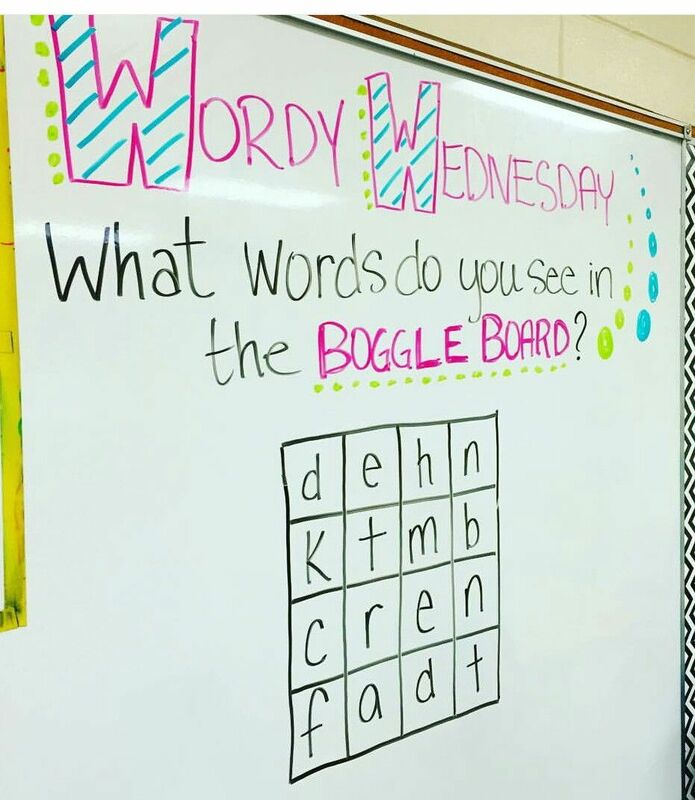 Classroom graffiti boards can be used pre or post lesson, as a transitional piece, during centers, or in lieu of a morning job or exit ticket. You can use Post Its for student responses. However, I really L-O-V-E slapping a fresh white board marker in a student’s hand. There is just something about writing on a white board in a colorful pen that motivates our students to give more. My go to pen these days is the Expo Dry Erase Markers with Ink Indicator. Students are all about the ink you can “SEE” and engagement increases even more! With all this said, here are a few ideas on ways to incorporate graffiti boards into your classroom. From reflecting on inspirational quotes to cheering on a classmate, the sky is the limit when it comes to motivational classroom graffiti boards. Here are just a handful of amazing examples hiding on Pinterest. Character building opportunities are so important in the classroom these days. Graffiti boards offer a fun way to explore character traits, practice kindness, and tackle a little self-reflection. Here’s a quick and easy character idea that played out ever so nicely at my former school. One of my teaching besties rolled with a Thankful Thursday series in her 5th grade class. The kids absolutely ate it up and wrote their hearts out. Not only were these students reflecting on their own lives, but they were asked to restate the question. This provided the perfect way to slip in a little paragraph writing practice. Circling back to a point I made above, these students were able to use the new Expo Dry Erase Markers with Ink Indicator. Seeing the ink blew their minds and they loved getting to select one of the six bright and oh so bold colors. Talk about engagement. This one little tool upped the graffiti board game even more! Spelling word games, timeline projects, response to literature . . . oh, boy . . . my head starts spinning when I begin to think of all the ways graffiti boards support the standards. A simple Pinterest search showed me countless ideas. Here are a few of my favorites. Alright, so there you have it. A post dedicated to the wonderful world of classroom graffiti boards. If you have other board ideas that have worked out well for you and your crew, I’d love to hear them.